Martinizing Dry Cleaning is dedicated to making your buying experience seamless and our number one priority. Our goal is to make your life easier by delivering quality garment care along with new technologies. We're proud to serve our community and our first-rate customer service will earn your trust. Your local Martinizing dry cleaners provide dry cleaning, shirt laundry, alterations, wash & fold, bulk laundry, leather cleaning, wedding gown cleaning and wedding gown preservation in addition to many bulky household items such as comforters. We are your professional local dry cleaners. 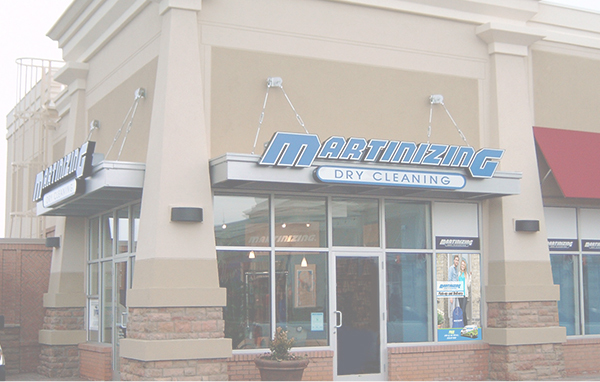 Stop into your local Martinizing for convenient and easy on-the-go service. Free pick-up and delivery service, at your home or at the office. No more rushing to and from the cleaners. Martinizing lockers are open 24/7! Schedule pick-up and delivery service from your smartphone.